Sewing, knitting, baking, jewellery, crafts, raffle prizes - tickets $2 each or 3 for $5, Everyone welcome. Come and find a special treasure. Lunch, snacks, tea and coffee will be sold. 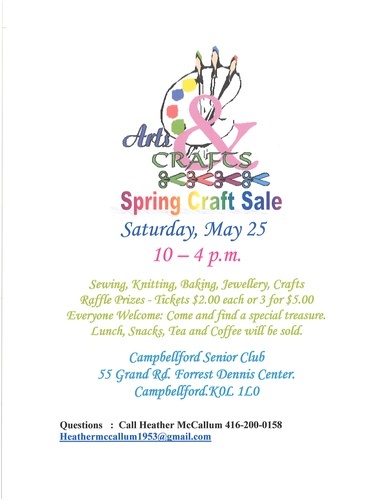 Campbellford Seniors Club - 55 Grand Road, Campbellford.